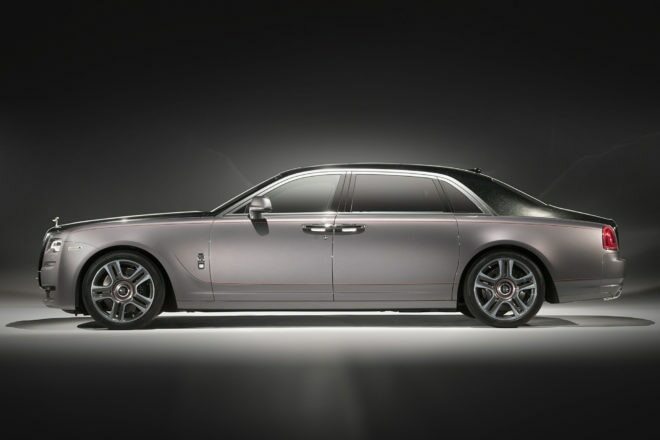 According to Rolls-Royce, one of the company’s “connoisseurs” demanded such luxury that R-R agreed to build the Ghost “Elegance” the first production car “to be finished in a paint created from diamonds.” Specifically, 1,000 crushed diamonds. Called “Diamond Stardust,” Rolls-Royce sourced 1,000 diamonds and spent an entire two months testing different painting methods and applications to ensure the precious stones gave the right reflection and couldn’t be felt to the touch when running your hand along the car’s paint. The process itself saw the diamonds crushed to a fine diamond powder which was mixed into the paint and then applied to the car. 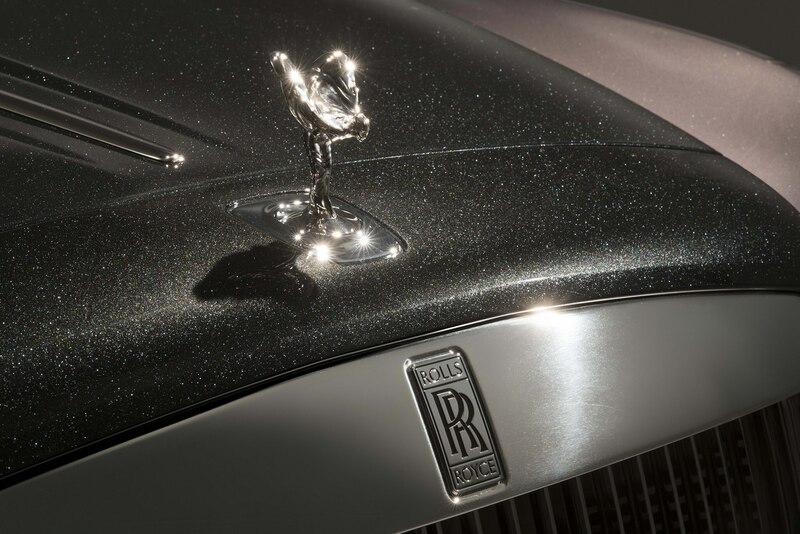 However, Rolls-Royce had to then apply an extra final layer of clear coat that “protect[s] the diamond particles during the hand-polishing process.” It took a full two days to paint the Ghost using this method, all of which was done by hand. Accenting the diamond finish, final pin-striping was hand-applied by master coachline painter, Mark Court, with a single squirrel-hair paint brush finished in Mugello Red and Black. Furthermore, Court applied a small set of the Mugello Red stripes along the Ghost’s 21-inch wheels. Finalizing the exterior, the Spirit of Ecstasy becomes the star of the show as it’s uplit from its base. The rear lounge seats are finished in soft Selby Gray leather with more Mugello Red stitching and piping and the inner pockets of the rear doors are lined in the owner’s favorite material, a gray, black, and red tartan pattern. 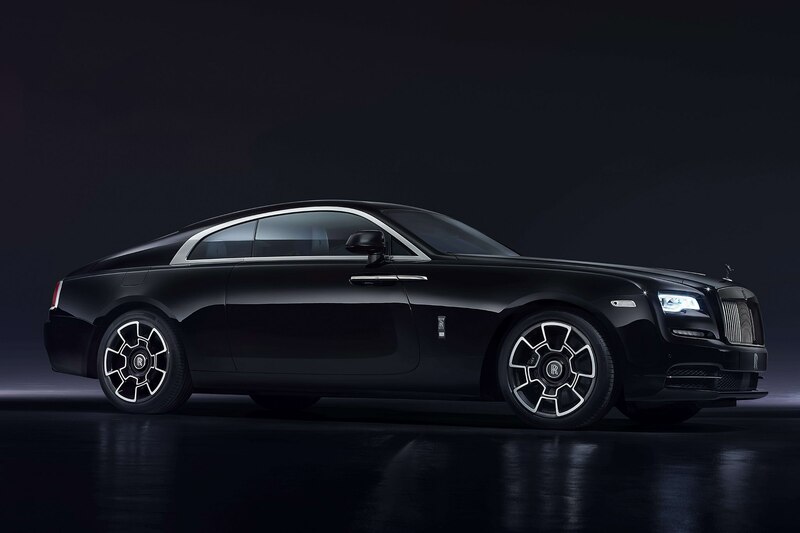 What wasn’t disclosed was how much this bespoke Ghost cost the owner. We’re thinking quite a bit, especially when you consider the average price of a one carat diamond is $3,250. The Rolls-Royce “Elegance” Ghost Extended Wheelbase will be on display at the Geneva Motor Show.